I recently bought a big bag of frozen jumbo shrimp from Costco. So, if you see a lot of shrimp recipes on here…that’s why. Shrimp are also my favorite seafood ingredients to cook with, cos they’re quick to cook, absorbent to any kind of spices and flavoring you use and they are super delicious! 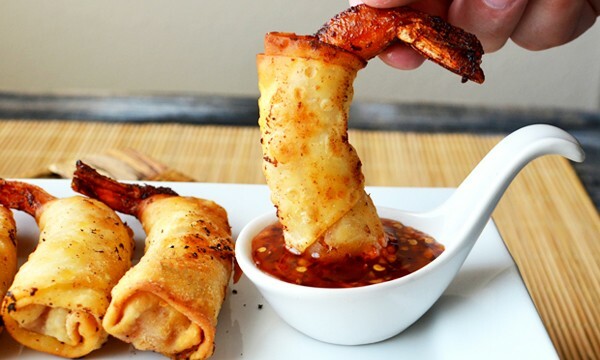 I’ve seen Firecracker Shrimp recipes all over the Internet, and while I loved the concept, from what I read of the ingredients, I didn’t think they would have that much flavor. So I made my own spicy shrimp marinade, influenced by Asian flavors and let the shrimp marinate for about half an hour before wrapping them in egg roll wrappers. Crispy on the outside, full of flavor and succulent and juicy on the inside….these Spicy Firecracker Shrimp would make a very sophisticated and elegant party appetizer. – Start by preparing a marinade for the shrimp. 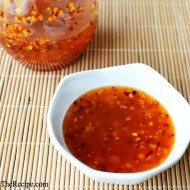 In a shallow bowl or zip lock bag, add the sriracha/hot sauce, soy sauce, rice vinegar and sesame oil. – Then grate the fresh peeled garlic cloves, directly into the bowl. 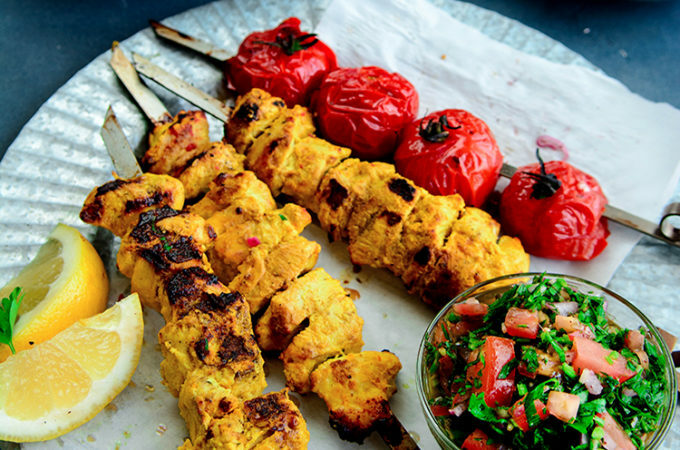 – Zest half a lime, cut it and squeeze it’s juice into the marinade. 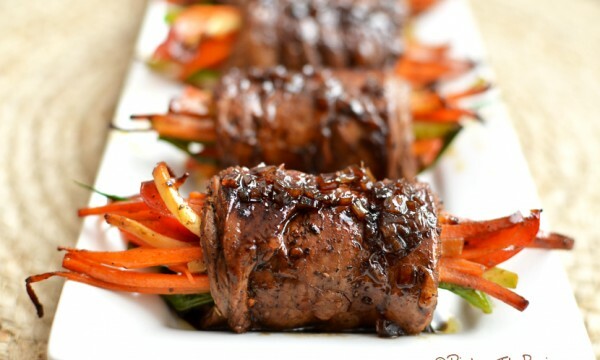 – Season the marinade with a sprinkling of salt an pepper. Stir all the ingredients well to mix them. Also add a tablespoon of sugar to balance out all the flavors. 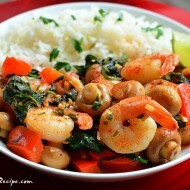 – Toss the shrimp in the bowl or bag and gently mix them around with a spoon to coat them well in the marinade. Cover and place the marinated shrimp in the fridge for 15-30 minutes. – After the shrimp has had some time to soak in all those flavors. Prepare the wrapping by placing an egg roll/spring roll wrapper on a cutting board diagonally so it looks like a diamond shape. Then cut it in half and repeat with the rest of the wrappers. – Place a shrimp on left side of the wrapper with the tail sticking out and fold over the left corner wrapping the shrimp as tightly as you can. – Then fold the top corner down, making sure to cover the top end of the shrimp.Roll the shrimp as tightly as possible and as straight as you can manage until there’s just a little corner left. – Using your finger apply a little of the flour paste (a little flour and water mix) to the corner of the wrapper and seal it. – Repeat the same wrapping method for the rest of the shrimp. – In a pan, add about an inch or so of oil to fry the shrimp. (You can use a deep fryer if you have one, but enough oil to cover at least 3/4 of the shrimp if not the whole shrimp is all you really need) Heat the oil through on medium-high. To test and see if the oil is hot enough for frying, pinch a tiny piece of wrapper and drop it in the oil…if it bubbles and comes to rises to the top quickly it’s hot enough. – Fry the shrimp in small batches depending on the size of your pan and cook them for 2-3 minutes on each side till golden brown. I’d suggest cooking one to time it and one you take it out, cut it in half to see if the shrimp is cooked through but not rubbery. 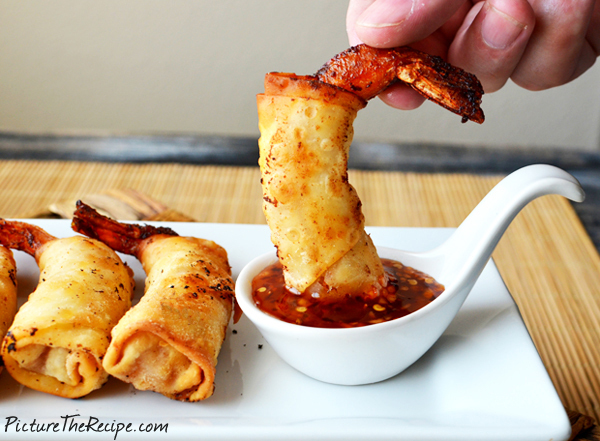 – Serve hot with some sweet and spicy dipping sauce. …yummm! These are so crisp and tasty! Do you think you could bake these instead? They sound yummy! Is there an alternative to make a sauce just as yummy and tangy, just less spicy? These look amazing, I’m just not a spicy kind of girl. 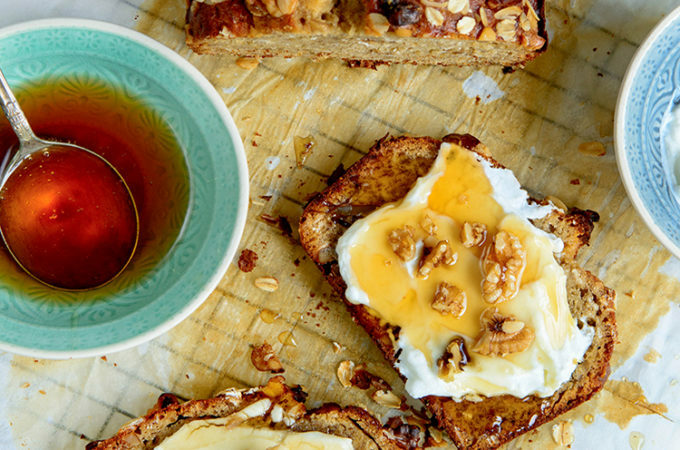 I really love this recipe, it’s so simple but so ingenious and just makes sense. 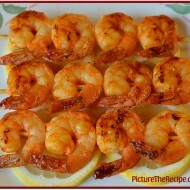 These little guys are so appealing – who wouldn’t want to dip and munch that shrimp? Looks fantastic! Nice photos and recipe. Could you make a bunch of these and freeze them in any way? I haven’t tried freezing them Leah, but I don’t see why it wouldn’t work. I think you could wrap and freeze the shrimp until you’re ready to fry them. I would keep in mind though, that the frying time may be longer and you would need to adjust the heat making it slightly lower, too cook the shrimp through without the outer wrap burning.I’m not too sure, but it’s worth a try! 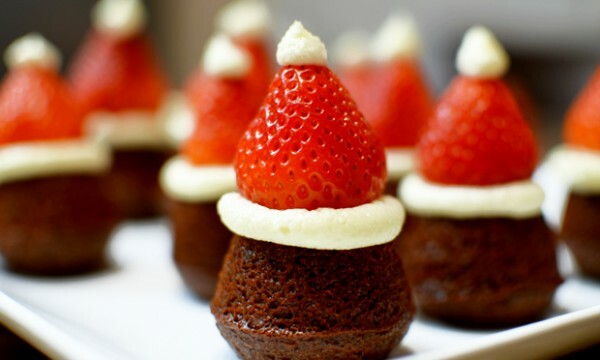 has anyone tried baking these? I made these this past weekend and I just can’t put into words how wonderful they are. These look so good! What is the dipping sauce you show in the photos? I saw this recipe on Pinterest and tried it out two weeks ago and then remade them again this weekend. It was amazing!! I used 2 tbsp of siracha sauce and was the perfect amount of spicy. My taste tester, the boyfriend, said these are his favorite spring rolls. Thanks for posting! I’m going to try some of your other recipes too. These sound wonderful! Can you bake them? If so, what temp. would you recommend? You use the same sauce as the marinade as the dip? I made this but I baked it instead. 400 degrees for 15 min or until golden brown. Spray or brush some EEVO on top & it will crisp up real good. Also, I just use water to close my wontons no flour. Thanks Michel 🙂 I’m guessing you got the Vietnamese style summer roll wrappers that are made from rice. Those kind you need to soak to soften. I don’t think those fry up well, I’ve only ever eaten those cold. You’ll want to look for the egg roll wrappers in the refrigerated section at stores. Oh, darn…I just got halfway through another version of this recipe..too late to change and yours looks so much TASTIER. Next time! And, next time will be soon! I’m going to have to subscribe. Thanks for your cooking creativity! hello, they look so luscious that I’ve decided to give them a try. pls can you tell me if these shrimps are raw. Yes Lynn the Shrimp are raw, just marinated. They cook when deep fried, about 2-3 mins on each side. Check by cutting one open then time the rest accordingly! Noreen, Noreen, Noreen!!! 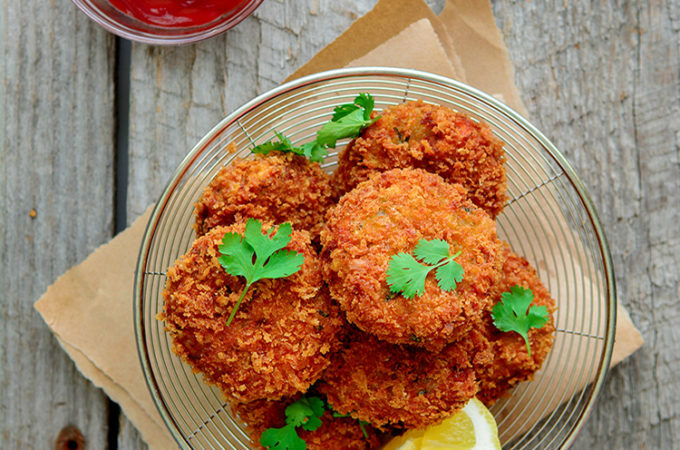 I made these last night a long with the Sweet & Spicy Chili Sauce (and some coconut rice & veggies) and let me tell you…..they were absolutely delicious!!! The sauce was to die for. I’m so happy that I stumbled across this recipe. It will become a part of my meal rotation. And I’m going to try the sauce on some wings this week. Keep up the good work. I’ve used these wrappers for crab rangoons and they came out a bit doughy. For this recipe I am using ‘spring roll’ wrappers, usually found in the freezer section of asian markets. These wrappers are very thin and turn out light & crispy. These are amazing! I tried them both ways, deep frying and baking in the oven and they are better deep fried, but were still pretty good in the oven if you want to go a healthier route. Made these we my Godmother this week and they are great. Had little trouble with the wrapping the shrimp. But still fried okay. But not as pretty as yours. Made the sweet spicey dipping c also. Loved this recipe and plan on making these many more times. Dipping sauce was great. egg roll wraps not big enough, will use large shrimp next time. Thank you. They look and sound fabulous! I was wondering if you could fry them early in the evening then reheat them on a stone right before the party? Trying to lighten up last minute cooking but these look too good to skip. Did you try reheating and have any luck? Is there a way to pin a single recipe? The firecracker shrimp illustration are great! 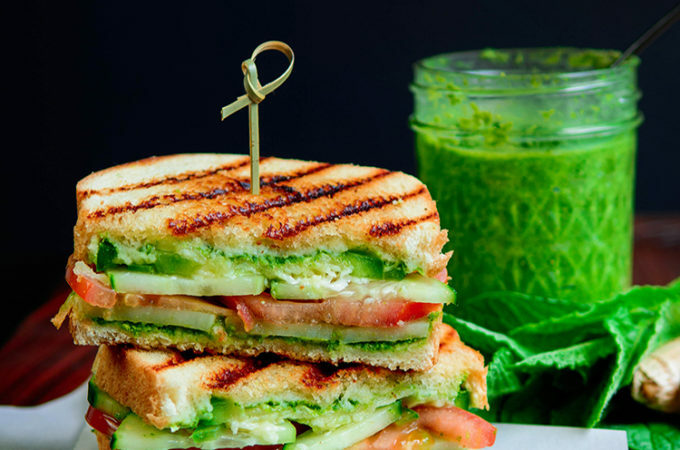 If you just hover over an image in a post you can pin it…which will pin the recipe. Could I leave out the sesame oil in the sauce.? What if I don’t have sesame oil? What can I substitute that with? hi! 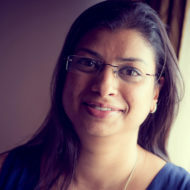 I just came upon your site and have subscribed! I really like the clear step by step instructions for your recipes as well as the great step by step process of your pictures. Would I be able to freeze this fire cracker shrimps for later use? Yes! You will have to increase the frying time, if frying from frozen. 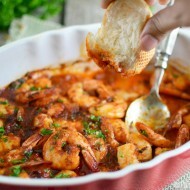 Could I marinate the shrimp overnight in the sauce, so I can save time the day of cooking them? These were delicious! I would recommend patting the shrimp dry before putting them into the marinade so they soak up the flavor. I also tossed the remainder of the marinade in a pot and boiled it for a dip. Has anyone air fried these? Recommended time and temp?